This kit was another of my eBay finds. 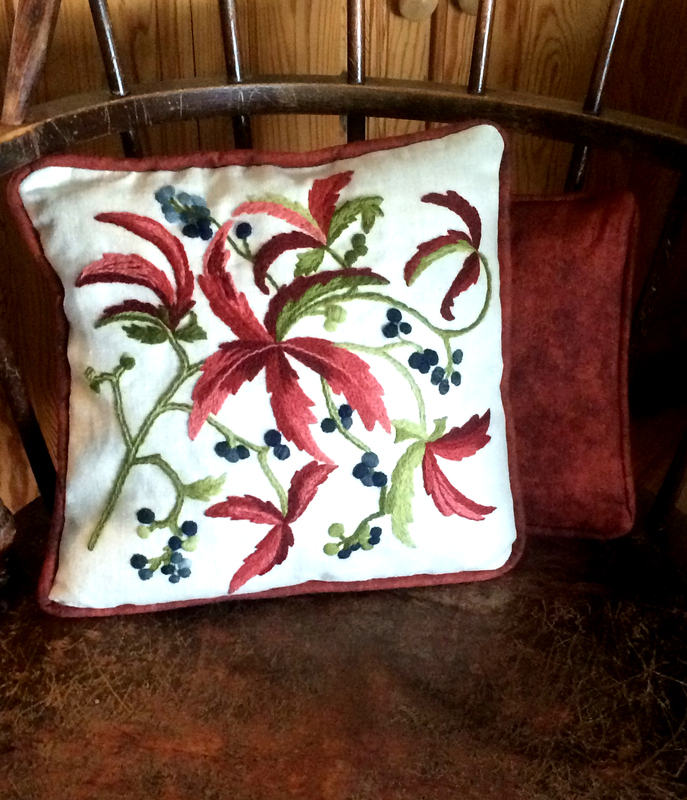 10 x 13 inch design printed on Belgium linen which I stitched then finished as a 12-inch square pillow. It was an opened kit that did not come with the cording or backing fabric but it did come with all of the crewel threads. 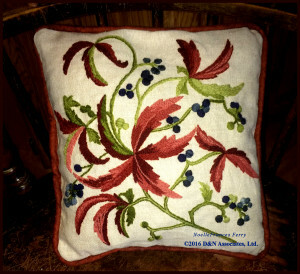 Plus, from my stash, I used my favorite crewel yarn which is Renaissance Dyeing Wool (formerly Broider Wul). A naturally dyed, fine plied lambswool. Below photo shows the 9-inch Waves of Early Fall pillow. Behind it you can see the back side of the Fall leaf crewel pillow. I used a tea dyed lined fabric for the back. The piping for both pillows was crafted using 1/4-inch cotton cording and 100% cotton fabric (rust color, design called Shadow Play). 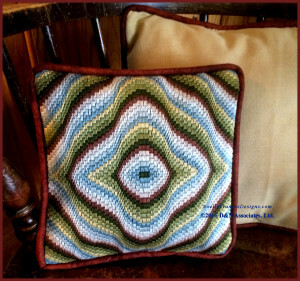 Below photo shows front side of the Fall leaf crewel pillow and the back side of the Waves of Early Fall Bargello pillow.